A well-integrated Norwegian-Somali joined al-Shabaab and died fighting in Somalia, according to nunpublished report written by Jarle Hansen, one of the world's leading experts on Somalia. The report was written for the Norwegian Defence Research Establishment (FFI). The 27 year old had been an exemplary soldier and had Norwegian friends. The Norwegian Security Service confirms that the soldier, who served in the Royal Guards in 2005 and 2006, was killed this past March, apparently while fighting Somali forces. The 27-year old was the first known Norwegian citizen to be killed while battling for a terror organization. VG Nett contacted the soldier's family. They tell of a sudden change after he got in touch with the Tablighi community, an extremely conservative Muslim community. His father told VG Nett that his family was shocked when their son went to Somalia to join al-Shabaab. "He went to Ethiopia last year to visit his mother. From there he went to Somalia, without telling me anything about it. It's totally dreadful to think that he's dead, I can't get it out of my head," says the father, who has five children in Norway. The young man changed in 2009, when he began to dress in a long tunic and let his beard grow. He had not visited Africa since he arrived in Norway in 1994. Once in Somalia he called home from the terrorist controlled city of Beledweyn. 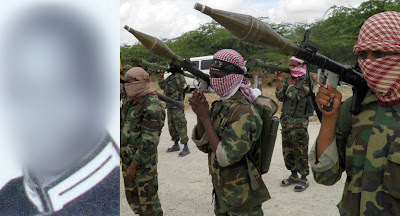 According to the army's report, he served as a mid-level leader for al-Shabaab, and was responsible for training and transferring the knowledge he gained in the Royal Guards to the young terrorist recruits. His family never heard fro him again. An unknown woman called in March 2011, introduced herself as his wife and informed them he had been killed. The family now wants to know who recruited him and sent him to his death.